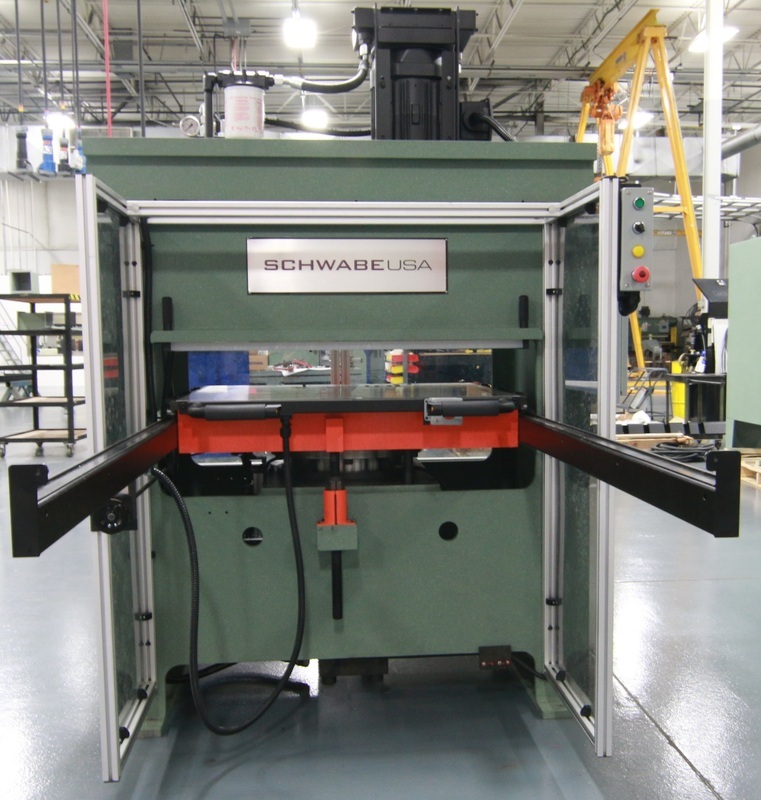 Schwabe Compression Molding Presses [both High Stroke and Upstroke Presses] are designed and built with the famous Herman Schwabe enduring engineering design and performance, at the company manufacturing plant in Cincinnati, Ohio, USA. 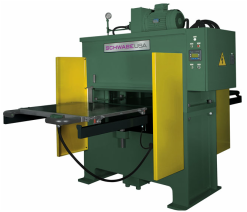 The Schwabe hydraulic presses have a wide range of molding press designs in size, tonnage, and/or stroke length to meet your specifications needs and may include Heated Paltens. Ideal for die cutting multi contour / 3D parts. Power operated sliding table to handle dies 20,000lbs or more. 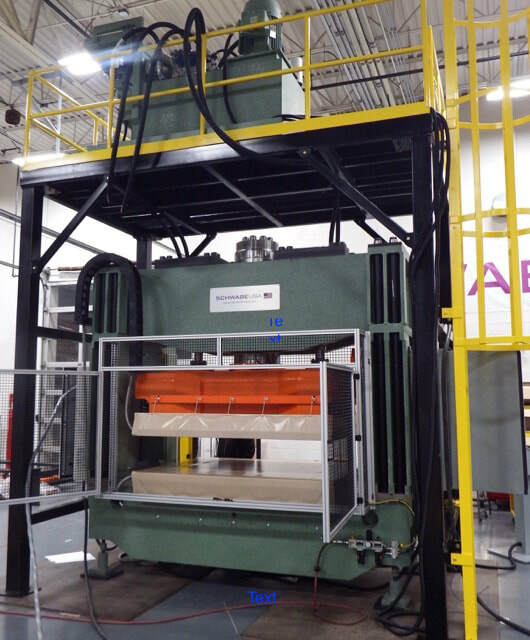 Also known as the Schwabe Mold / Trim Press the presses are specifically designed to cut multi contour parts / 3D parts, a reliable compression molding press of choice in the Automotive Interior industry. Utilizing three dimensional dies, these presses can cut on more than one level and axis for precision 3D cutting. door panels) and carpet, plastic, packaging, glass fiber, and many more. 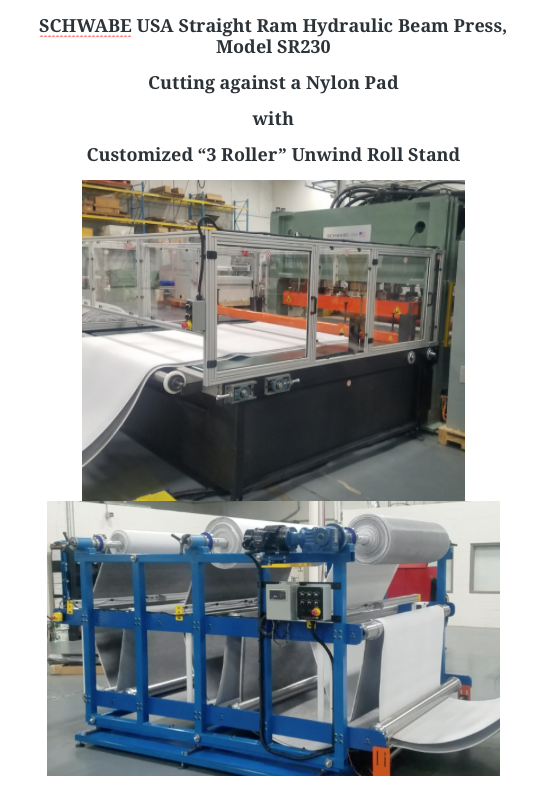 The four guide columns structure allows the user to die cut against a soft pad along with moderate off-center loading without the need for positive stops. Heavy duty powered sliding tables with locating stops are available for those applications requiring the lower half of die to travel out to the operator. Can incorporate Heated Platens as well easily. Standard Sizes: 48” x 48”, 60” x 60” and 72” x 72”. Other sizes available upon request. Standard Tonnages: 30, 59, 75, 85, 150, 230, 300, 500. Other tonnage available upon request. 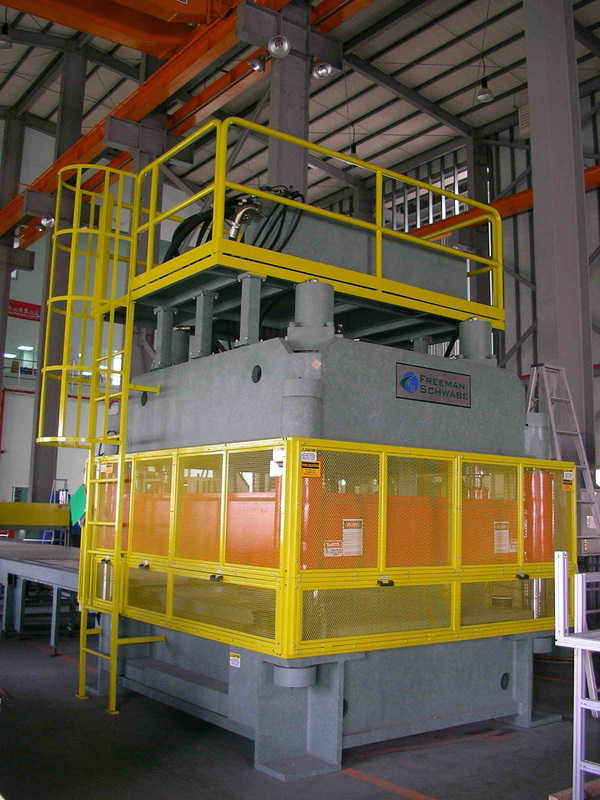 Schwabe Upstroke DG Hydraulic Press are designed to cut vacuum formed plastics, blister/skin packaging, rubber and other sheeted products.